You are here: Home > T-Mobile Scheduling Employee Blackout Dates For September 20th-22nd? I do love a good rumor and this one should make all you iPhone fans happy as I’m hearing whispers T-Mobile is planning blackout dates between September 20th and 22nd. Like all good rumors, we should take this with the standard “subject to change” warning but my sources suggest this could be iPhone related. Their confidence is supported by the rumor mill already highlighting September 20th as a potential launch day for the next-generation iPhone 5S/5C. 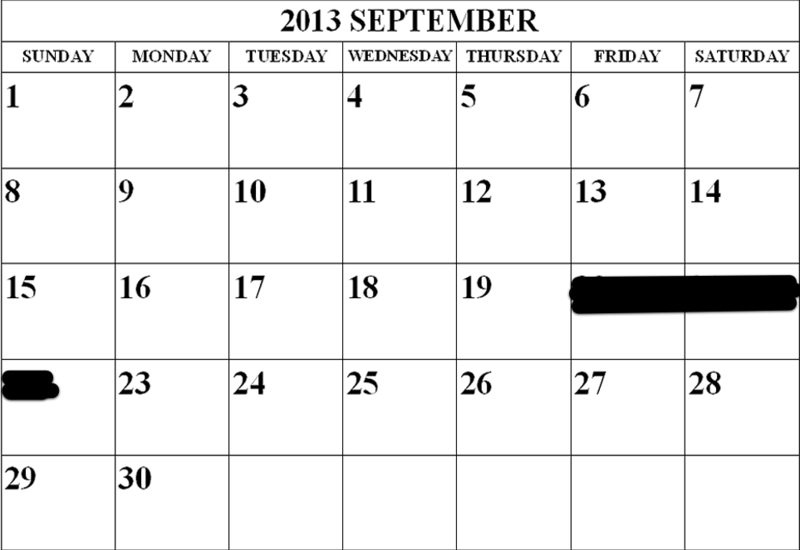 It could, with emphasis on could be related to a Note III launch widely expected to be announced on September 4th. However, I really don’t see T-Mobile beefing up their schedule for a Note III launch, but an iPhone launch makes sense. The writing is on the wall if this rumor pans out, T-Mobile is beginning its preparation for the next iPhone iteration. It makes sense for an iPhone launch, as those are usually released a week and a half to two weeks after announcement. I think that’s what he’s getting at. He wants to be able to pick it up in the store. In the last few years, T-Mobile has only carried the lowest memory model of phones in store and sold the rest online, on the phone, or by direct ship. All depends on how much inventory of the six iPhone models that T-Mobile is able to acquire for launch day. And then T-Mobile decides how many each store should get. Really wish they would re-farm my city…. I would love to switch. how do you test for refarmedness? Every cell site that currently has LTE equipment or will have it in the future is refarmed. So basically every city that has LTE or will have it, is/will be refarmed. how do you test for LTE-ness? You can check T-Mobile’s coverage. Just type in your address, click the pin that comes up and it will say if you have LTE or not. Or you could go into a local T-Mobile store and playing around with the phones to see for LTE. You can also check airportal.de, but that map isn’t complete. The blackout period is only 3 days? Sounds like T-Mobile is not expecting long iPhone lines after the first weekend. This does not bode well for Apple. There won’t be any long lines over the weekend as T-Mobile’s inventory will be sold out by Friday night. The lines for iPhones haven’t been as significant since it came to more carriers. I rode by stores the night before the iPhone 5 launch and around 10 the morning of the launch and only saw possibly one customer outside of an AT&T store the night before. There were no lines by 10 the next morning at any of the stores. When the iPhone 4 released in 2010, it was an entirely different story. Year after year I see people claiming this. And year after year, iPhones fly off virtual and brick-and-mortar shelves and sell out when initially launched. Every run comes to an end, but I don’t think we’re quite there yet with Apple. This is how long the blackout periods usually are for the carriers. The length of time in and of itself is by no means an indication of anything. They don’t black out two weeks, AT&T did that once and it was completely unnecessary since they were out of inventory after the first day. If they’re releasing a 5S and 5C you can bet lines will be insane as for the first time EVER they’ll be offering two hardware options. hm… I haven’t seen/heard anything about this and I work for TMO. I’ll ask around and let you know. You can lose your job for that. Really worth the risk? i’d take this down if i were you. iPhone all but confirmed. Can’t wait. I just hope the iPhone 5S has better quality overall. Other phones have better call quality, better cameras, and easier to read screens than the iPhone now days. Apple better step it up and do it NOW. I don’t really think the Iphone is coming out on any of those days. T-mobile always puts phones out on wedesday. Not when it comes to the iPhone, that’s something Apple will dictate. Also, they’ve release on Friday’s in the past, in some cases most of their more notable launches as of late have released on a Friday. Given that, it doesn’t seem unreasonable for T-Mobile to allow Apple to dictate the release date, and when you consider both AT&T and Verizon have knocked out similar dates…yeah, it’s the iPhone. iPhone and iPads . I’m hoping.